This Website is presently being reconverted into several languages. 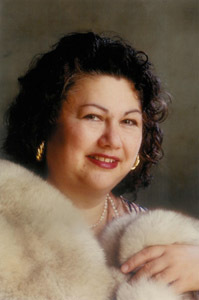 Welcome on the Homepage of an opera singer, voice professor and career mentor. Please gather information about my activities, about my life and tutoring from my biography, my opera and concert repertoire, and my Homepage at Mozarteum Salzburg. You can also find me on Wikipedia and listen to me on YouTube. Career Coach and Mental Trainer for singers (male and female). Find solutions for vocal problems. Study of new roles for professional singers. Advice on all the aspired singing capacities. What may encourage many is the fact that vocal training enables them to reach new horizons in their life. This particulary concerns all those who work in public, all mothers and fathers who are "vocally drowned" by their family, and all who are constantly frustrated in life, remaining inferior becaause no-one else regards or notices their own wishes. Considering all my diverse measures of application, I am fully qualified as holistic voice professor. In this capacity I hold master classes, workshops for non-singers, tutor beginners as well as advanced pupils, and coach singers in their development.